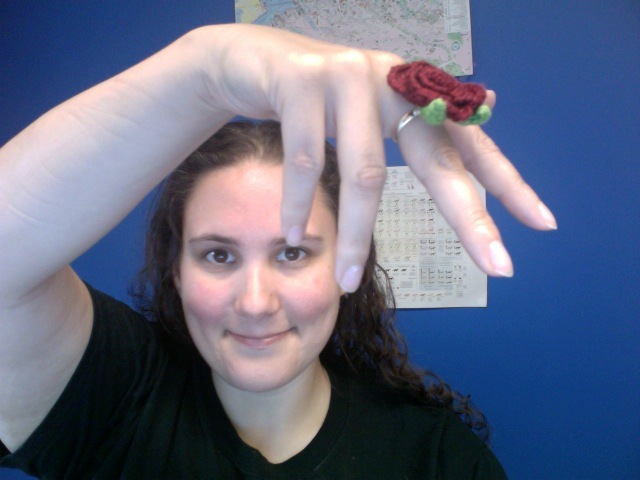 I made this rose ring in about 2 hours over the weekend. 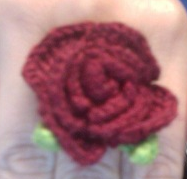 I got the rose pattern out of a book called 200 Crochet Flowers Embellishments and Trims and sewed it onto a ring blank that I got at etsy. All in all it was a fun project.